The London based adult education organisation CityLit are running 1 two day “Introduction to Battlefield Guiding” course as part of the 2013 Summer School. The course tutor is Frank Baldwin, owner of the weblog www.theobservationpost.com who put forward the course. It is aimed at anyone who is interested in becoming a battlefield guide. Tourism is one of Britains’ largest export industries. We are good at this more and more travel is geared towards heritage and cultural tourism. In a life time of work which we now expect to extend to the full three score and ten this is an activity that allows someone to make money from a hobby. For most guides it is something that can be more than a hobby but less than a career. It fits well with a portfolio career. We are also likely to need more guides too. There is a lot of potential interest generated by interest in the Great War, in particular from people and groups who will be seeking to know more about what happened to particular soldiers www.menbehindmemorials.com rather than a tour of the edited highlights of the Western Front. Britain’s own battlefield and military heritage is under developed. There hundreds of sites of battles, sieges , skirmishes and military installations with fascinating stories behind them , just waiting for a good story teller to bring them to life. 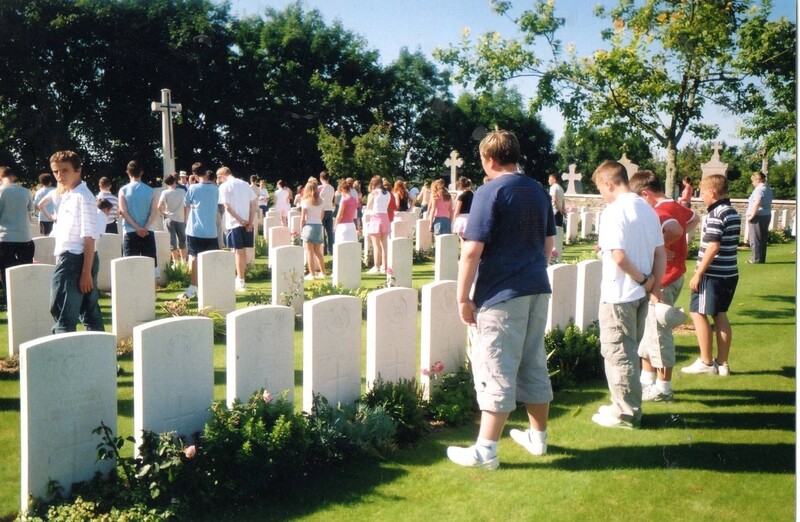 Heritage tourism is a serious industry and battlefield guides are expected to provide a professional service. Customers expect high standards from all aspects of the service they receive in an industry which is regulated to protect the public. Anyone delivering a service to the public has legal obligations, which could be painful in our litigious world. Anyone seeking to employ a guide needs to know that the guide knows their subject matter, can present information well and knows how to look after the customer, and by implication the interests of an employing tour operator. Someone wishing to be a professional tour guide in the UK is advised to become a Blue Badge guide via the scheme managed by the Institute of Tour Guiding. This involves two years of study of the culture and heritage of particular regions through organised instruction, followed by examinations which qualify the guide to be listed as a Registered Guide, and costs around £5,000 in tuition and examination fees. While this is excellent preparation for taking visitors around the sights of Britain, it is less useful if the purpose of becoming a guide is to lead tours to the battlefields of the World Wars. It is also overkill for someone who just wants to be able to lead visitors to a local battlefield on behalf of the Battlefields Trust or a local battlefield society. Ten years ago, in 2003, a group of battlefield guides, under the patronage of Richard Holmes and John Hughes Wilson, set up The Guild of Battlefields Guides (GBG). 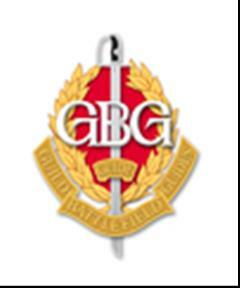 The aims of the Guild are to analyse, develop and raise the understanding and practice of battlefield guiding, provide an environment to meet fellow guides and share information, expertise and knowledge. Guild members seeking to demonstrate their competence as a guide undertake series of practical and written assignments that form a validation system developed by a team headed by educationalist and military historian Dr Chris Scott. Guides who pass the standard set are awarded a badge that shows that they have demonstrated their competences in military knowledge, presentation skills and customer care to their peers. The GBG members have chosen not to seek accreditation for the GBG Validation programme by an academic body, in order to minimise the costs to members. The Guild does not provide training in the Guiding competences. It was established to validate the standard of working guides. Guides will be expected to undertake self study or develop their skills and knowledge through their work either as battlefield guides or through related skills derived from military service or academic research. For people seeking to become a battlefield guide this presents a Catch 22 problem. How is a guide expected to gain experience? – Through work. How does a guide obtain work – though demonstrating their experience. Many prospective guides will already have a lot of the relevant knowledge and competences. However, even with good knowledge of military history, good communication skills and customer services experience, it helps to understand the terminology and the nuances of the trade. 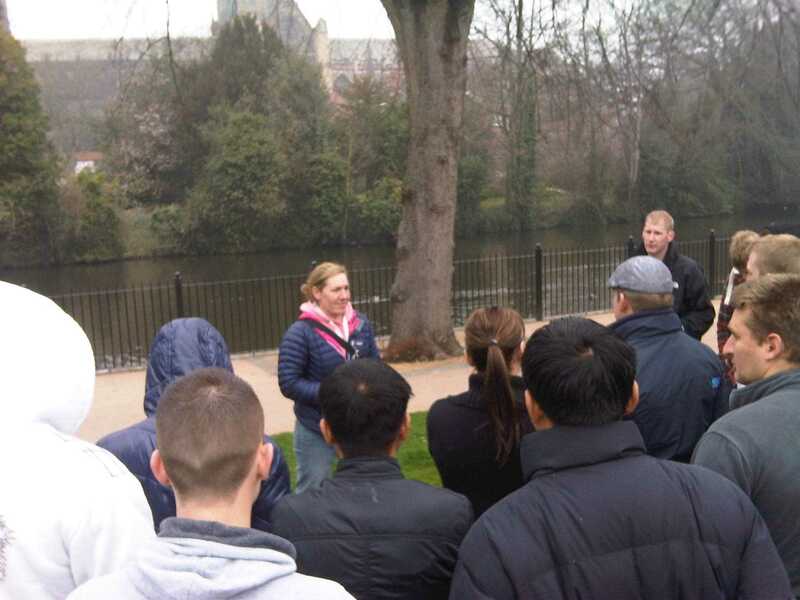 The City Lit Course is intended as an introduction to becoming a battlefield guide. It takes far longer than two days to learn the professional knowledge or develop the practical skills expected of a competent guide. It will give prospective guides an idea of the standards expected and an opportunity to assess their own training needs and prepare a plan to aquire the skills they need, through personal study or by undertaking some further training.